Back on market! Reduced to sell! 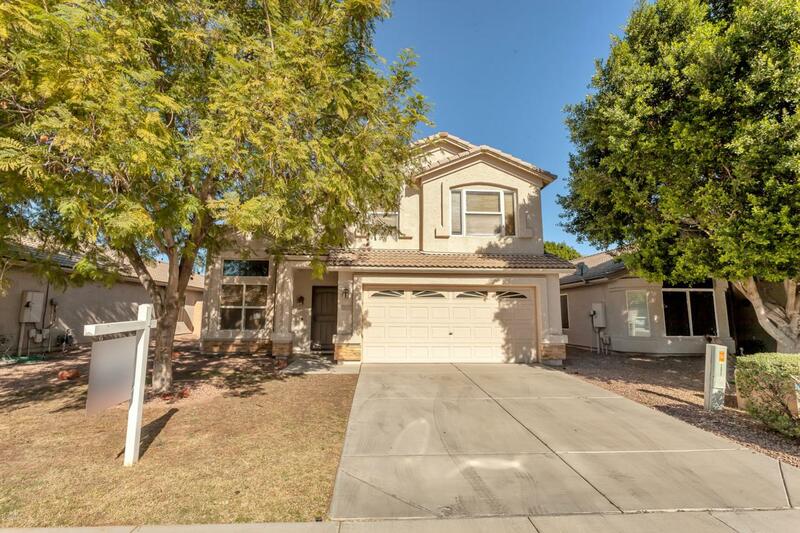 This 3 bedroom, 2.5 bath is just what you have been looking for. Located in Las Palmeras West subdivision of Avondale, its an easy walk to Estrella Mnt Com College, close to shopping & restaurants. 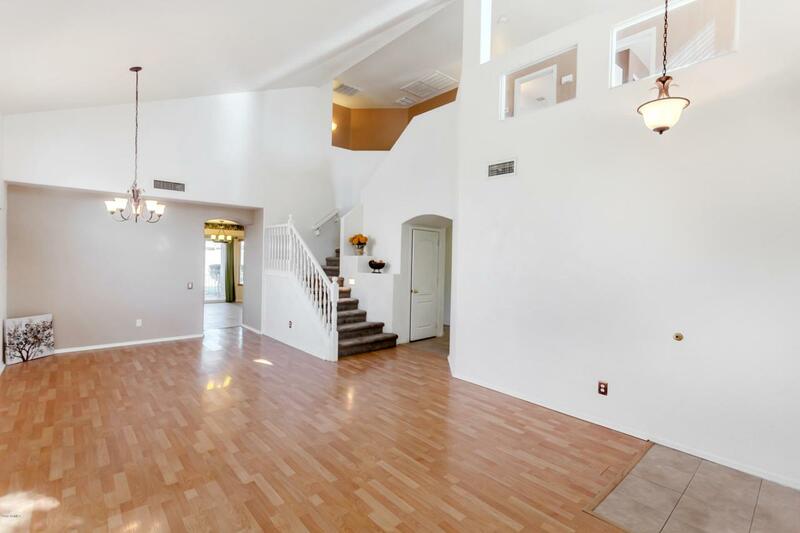 Approx 2159 sq ft this home features a formal living/dining room, eat-in kitchen & a family room that has been pre-wired for surround sound. Floors are tile, laminate wood and carpeting. Windows all have custom wood blinds. Kitchen has a nice back splash, lots of cabinets, counter space & island. 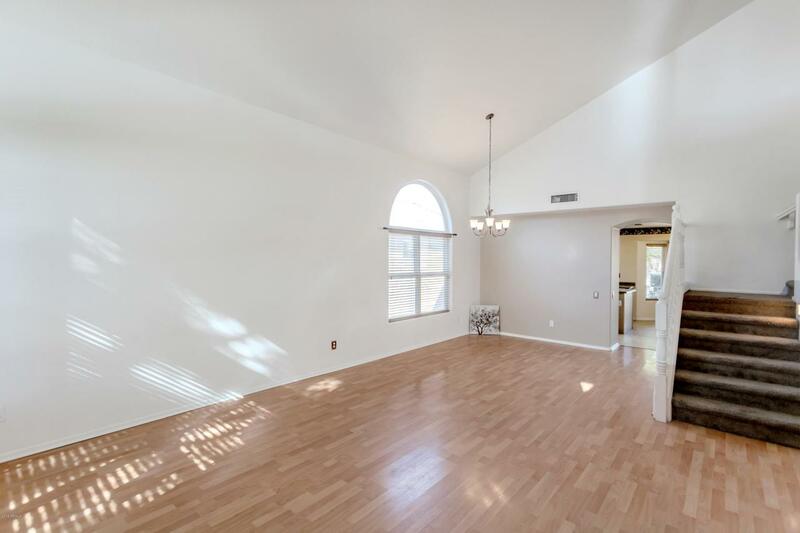 All bedrooms & 2 baths plus a loft upstairs. Huge master has a walk-out balcony. 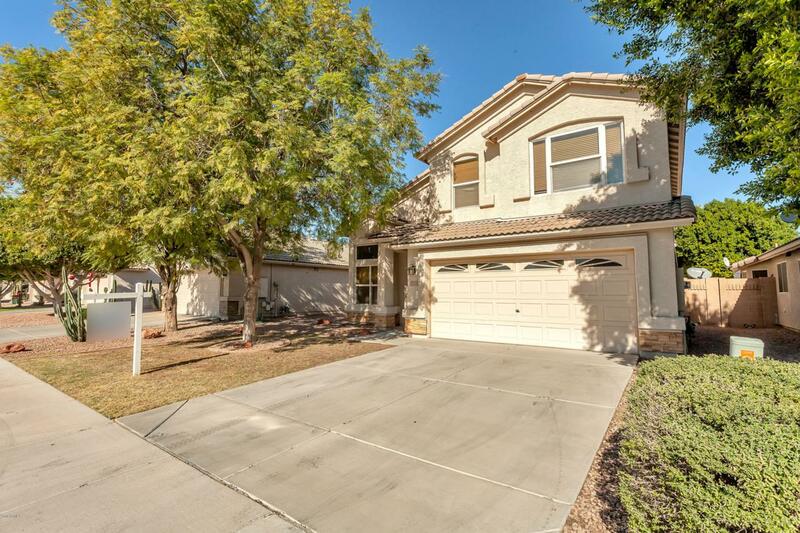 You will also find a beautiful, private (no one behind) back yard & a large covered patio. Seller is including a one year home warranty from One Guard.